What does the average person do 23,000 times per day? Believe it or not, that is the average number of breaths we take every day. Most of us do it without thinking about it. Most of our breaths occur in our home. Breathing is something we take for granted. If you have asthma or lung problems, breathing is something you think about often if not all day. You want to do anything you can to breathe. Oxygen is what sustains us. Take a minute, even close your eyes, and focus on your breathing. Imagine you are in a grassy meadow on a hillside. Breathe in and out. Imagine you are now in an old barn loft. Considering the air at these locations, which one would want filling your lungs with? Having an energy efficient tightly sealed home results in low energy bills, but is also results in poor indoor air quality. Dust mites, pet dander, allergens and pollutants cause allergy and breathing problems and more people are looking for ways to improve the air quality. Whole-home air-cleaning systems are increasing in popularity due to the fact they work with your existing HVAC system, but there are also smaller units that work well for apartments and rental homes. 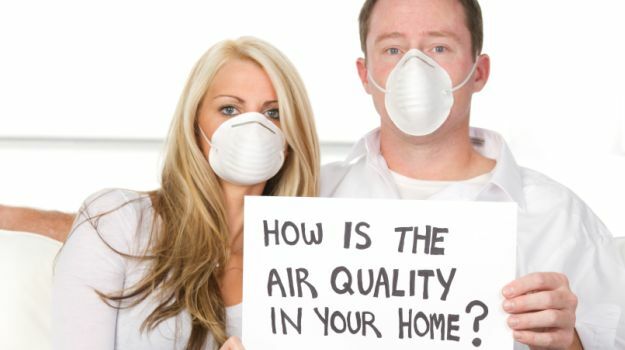 These whole-home air-cleaning systems remove particles that are ultra-fine and invisible to the naked eye. Approximately 90% of all airborne particles are smaller than 0.1 microns. Viruses are also ultra-fine particles. Because of their size, they are easily inhaled and deposit themselves in our lungs and some are absorbed into the blood.